Here at Veranda Beach, there is always so much to do for kids of all ages! Whether you are felling energetic and looking to get out there, or perhaps you’d rather just kick back and relax beside the pool or lake, the options at Veranda Beach are abundant. Whew! And that’s just to start!!! Experience the beauty of our our area while discovering local Okanogan wineries here south of the border or travel north to the south Okanagan wineries in the heart of Canada’s wine country. Veranda Beach wine tours are tailored to fit your personal tastes and preferences. Up to 5 guests will ride in comfort as we visit award winning wineries, and receive exclusive attention while enjoying the “fruits” of their labor. Tours are usually 5-6 hours and include visits to four wineries and a stop for lunch. 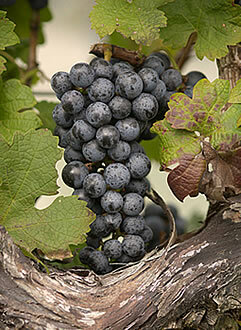 Your guide will share knowledge of the area and the wines as you travel between the wineries. Please contact our Veranda Beach front desk to inquire about a custom wine tour as part of your Veranda Beach vacation. Veranda Beach Crew: [email protected] or 1-888-476-4001. Kids grab your towable, adults grab your lawn chair or beach blanket and join us for outdoor movie night on the games lawn! Movies start just after dusk with a kids movie rated G playing on Wednesdays and a PG-13 movie shown on Friday nights. Back by popular demand! Jesse Barker, Advanced Wake Board Champion, will meet you at the Marina at 8:00 am to teach you all you need to get started, or advance to the next level. Jesse is an expert at helping you tackle challenges and “tweak” the moves. Everything’s provided for you to hit the water flying! This class is set up for all skill levels and limited to 4-6 per clinic. Each person will receive a half an hour dedicated instruction time. Don’t let the boat take off without you, reserve your place today! Contact the Front Desk to save your spot: [email protected] or 1-888-476-4001. Whether you are a beginner or advanced Skier, Jesse will guide you through the milestones to perfect that balance, body position, ski technique and style. All equipment is provided, just bring your sunscreen! Each person will receive a half an hour dedicated instruction time, but will enjoy 2-3 hours of time on the lake. Class size is limited to 4-6, so hurry and reserve your spot with the Front Desk: [email protected] or 509-476-4000. 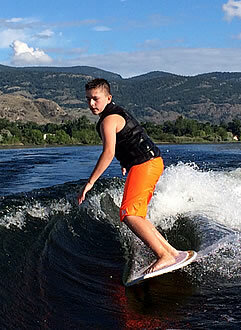 Wake Surfing is where a person "surfs" behind a ski boat. The wake from the boat copy’s the look and feel of an actual ocean wave. After getting up on the wave by use of a tow rope, Wake Surfers drop the rope and ride the face below the wave's peak, just like ocean surfing. It takes a special board, but all that will be provided for you. Class size is limited to 4-6, so hurry and reserve your spot with the Front Desk (and please let the desk know if you are Goofy or Regular footed): [email protected] or 509-476-4000.